I designed this limited edition tee just for my fans! More styles available in the drop down menu. Available for 2 weeks only! 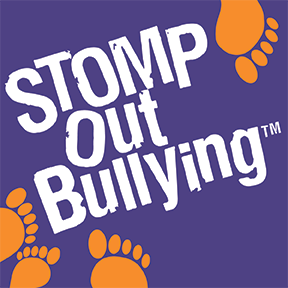 Today STOMP Out Bullying is the leading national bullying and cyberbullying prevention organization for kids and teens in the U.S.
A pioneer on the issue, it is the most influential anti-bullying and cyberbullying organization in the country and beyond. STOMP Out Bullying focuses on reducing and preventing bullying, cyberbullying, sexting and other digital abuse, educating against homophobia, racism and hatred, and deterring violence in schools, online and in communities across the country. It teaches effective solutions on how to respond to all forms of bullying; as well as educating kids and teens in school and online, providing help for those in need and at risk of suicide, raising awareness, peer mentoring programs in schools, public service announcements by noted celebrities, and social media campaigns. STOMP Out Bullying says NO to victimization, NO to anti-bullying legislation that does not work and NO to the hate and intolerance of others. We do say YES to choosing kindness, YES to teaching empathy, YES to accepting others NO MATTER™ what they look like, their race, their beliefs, or their sexual orientation or gender, and YES to becoming responsible and kind digital citizens.